The convergence of Sanskrit and Hebrew Vedas: Why? In my last post I looked at the similarities between the account of Manu in the Sanskrit Vedas and the account of Noah in the Hebrew Vedas. And this convergence goes beyond these flood accounts. As we have seen, there is a similar convergence between the Promise of the sacrifice of Purusa at the dawn of time with that of the Promised offspring given in the Hebrew book of Genesis . So why do we see these convergences? Is it due to coincidence? Does one account borrow or steal from the other? Here I offer a suggestion. Following the account of Noah, the Veda Pusthakam (the Bible) goes on to record the descendants of his three sons and to state that “From these the nations spread out over the earth after the flood.” (Genesis 10:32). The Sanskrit Vedas also declare that Manu had three sons from whom all mankind descend. But how did this ‘spreading out’ occur? In other words, once these people could no longer talk to each other, they migrated away from each other, within their newly formed linguistic groups, and thus they ‘scattered’. This explains why the different people groups of the world today speak in very different languages, as each group spread out from their original center in Mesopotamia (sometimes over many generations) to the places where they are found today. Thus, their respective histories diverged from this point onwards. But each language group (which formed these first nations) had a common history up to this point. This common history included the Promise of Moksha through the sacrifice of Purusa and the flood account of Manu (Noah). The Sanskrit rsis remembered these events through their Vedas and the Hebrews remembered these same events through their Veda (the Torah of Rsi Moses). This explanation does explain the convergence and similarity between these early Vedas. But is there further evidence to support this explanation? Interestingly, the flood account is not just remembered in the ancient Hebrew and Sanskrit Vedas. Diverse people groups around the globe remember a great flood in their respective histories. The following chart illustrates this. Across the top this shows various language groups living around the world – on every continent. 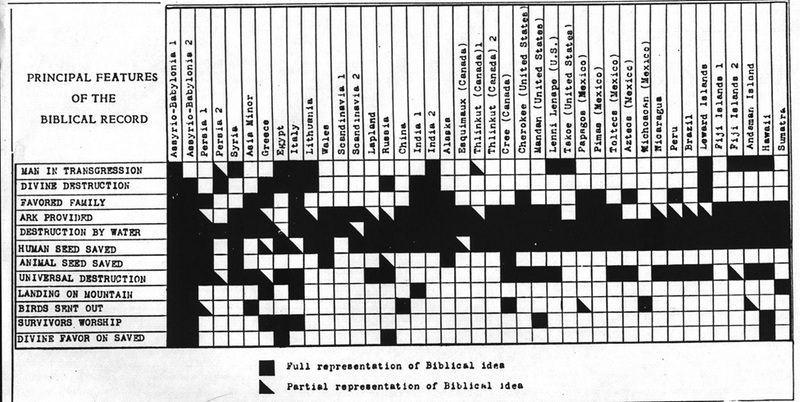 The cells in the chart denote whether the particular detail of the Hebrew flood account (listed down the left of the chart) is also contained their own flood account. Black cells indicate that this detail is in their flood account, while blank cells indicate that this detail is not in their local flood account. You can see that almost all these groups had at least in common the ‘memory’ that the flood was a Judgment by the Creator but that some humans were saved in a huge boat. In other words, the memory of this flood is not only found in the Sanskrit and Hebrew Vedas, but in other cultural histories around the world and continents apart. It points to this event having happened in our distant past. It was when I worked and traveled in India that I became aware of another supporting testimony which I found to be rather remarkable – but only when you become aware of it. It is peculiar enough to demand an explanation. 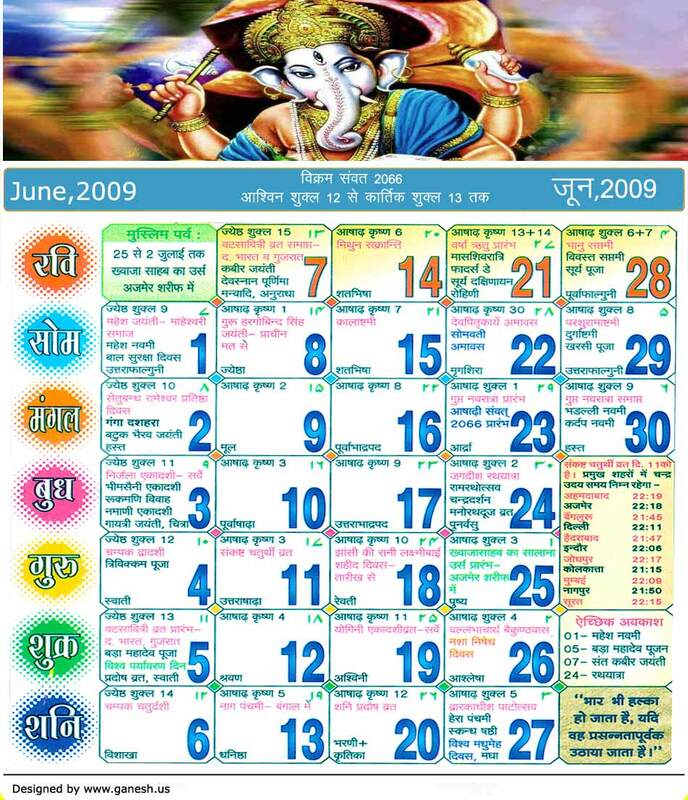 When working in India I saw the many Hindi calendars. I noticed that they were different than western calendars. The obvious difference to me was that the calendars were constructed so that the days would go down columns (top to bottom) instead of across rows (left to right), which is the universal way of demarking calendars in the West. Some calendars had different numbers than the western ‘1, 2, 3…’ since they used the Hindi script (१, २, ३ …). I could understand, and even expect, such differences since there is no ‘right’ way to denote a calendar. But it was the central convergence – in the midst of these differences – that struck me. The Hindi calendar used the 7-day week – the same as in the Western world. Why? I could understand why the calendar was divided into years and months like the western one since these are based on the revolutions of the earth around the sun and the moon around the earth – thus giving astronomical foundations universal to all people. But there is no astronomical time basis for the ‘week’. When I asked people they said it was custom and tradition that went far back in their history (how far back no one seemed to know). I also had the opportunity to live and work in Thailand. While there I would view their calendars. Being a Buddhist country, Thais mark their years from the life of the Buddha so that their years were always 543 years greater than in the West (ie the year 2013 AD is 2556 in BE –Buddhist Era – in the Thai calendar). But again they also used a 7-day week. Where did they get that from? Why are calendars that diverge in so many ways across different countries based on the 7-day week when there is no real astronomical basis for this calendar time unit? These observations on Hindi and Thai calendars pushed me to see if the 7-day week was evident in other ancient cultures. And it is. So where did these ancient Greek writers, far removed from India and Thailand, get the idea of a ‘week’ such that they used it expecting their Greek readers to know what a ‘week’ was? Perhaps there was an historical event which all these cultures had in their past (though they may have forgotten the event) which established the 7-day week? The Hebrew Vedas describe just such an event – the initial creation of the world. In that detailed and ancient account the Creator creates the world and fashions the first people in 7 days (actually 6 days with a 7th day of rest). Because of that, the descendants of the first human pair then used that 7-day week time unit in their calendar. When mankind was subsequently scattered by the confusion of languages these major events that preceded this ‘scattering’ were remembered in different ways by some of these different language groups, including the promise of a coming sacrifice, the account of the cataclysmic flood, as well as the 7-day week. These memories are living artefacts of early mankind and a testament to the history of these events as recorded in these Vedas. This explanation certainly is the cleanest and simplest way to explain the convergence of the Hebrew and Sanskrit Vedas. Many people today dismiss these ancient writings as mere superstitious mythology but these convergences should cause us to reconsider. So early mankind had a common history, and this history included the Promise of Moksha from the Creator. But how would the promise be fulfilled? We continue with the account of a holy man who lived just after the scattering caused by the confusion of languages. We pick this up in our next article. This entry was posted in Common Questions, Journey through the Veda Pusthakan (Bible) and tagged 7 day week, buddhist calendar and bible, Flood legends, origin of languages, the hindi calendar and bible, tower of babel, where does seven day week come from, where does the week come from? on 08/13/2013 by [email protected]. 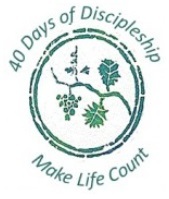 How to receive the gift of cleansing from the sacrifice of Jesus? Like the Raj: What does ‘Christ’ of Jesus Christ mean? Is the Bible (Veda Pusthakan) Textually reliable?